Let JCT4 Automotive source a pre-owned car perfect for your budget and requirements! 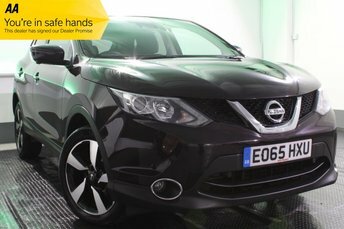 We are an experienced used vehicle supplier in Nissan, so if you are interested in buying a quality used car from great value brands like Nissan, you have reached the right place! At JCT4 Automotive, one of our most popular brands is Nissan, and with a vast range of used Nissan cars for sale, we are confident that there’s a model for you within our current stock. JCT4 Automotive is based in Nissan, just off junction 4 of the M58 if you wanted to take a better look at a number of used Nissan cars for sale near Nissan! Popular automaker, Nissan, is renowned for capable options such as the agile Juke and the sturdy Qashqai SUVs, both of which are amongst the quickest selling vehicles in the used car market to date. At JCT4 Automotive, we are proud to offer the best quality used Nissan cars in Nissan, including a selection of large family options, city runabouts and more!